Westward Ho! Or the voyages and adventures of Sir Amyas Leigh, Knight, of Burrough, in the County of devon, in the Reign of Her most Glorious Majesty Queen Elizabeth. von Kingsley (Charles):: London; Macmillan & Co reprint - Staniland (Booksellers) P.B.F.A. Westward Ho! 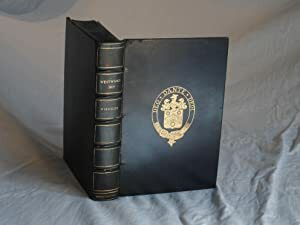 Or the voyages and adventures of Sir Amyas Leigh, Knight, of Burrough, in the County of devon, in the Reign of Her most Glorious Majesty Queen Elizabeth.